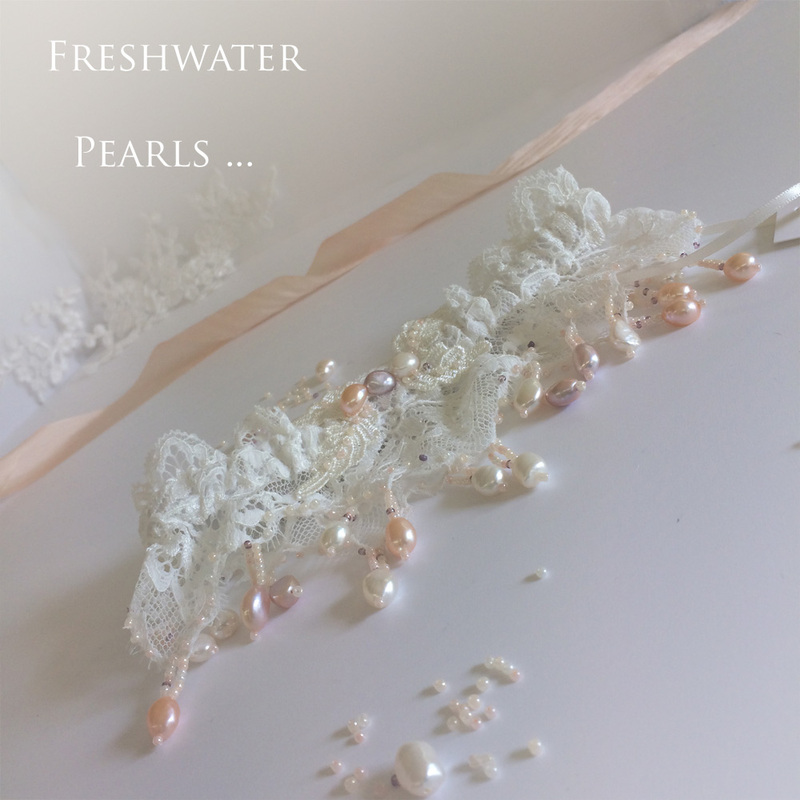 Luxury French lace lined with pure silk and hand beaded with natural 8mm freshwater pearls… A gorgeous handmade wedding garter! 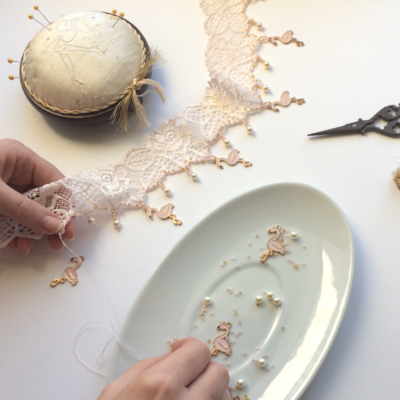 Look carefully at the lace it has a unique irregular shaped edge, where it follows the shape of the elegantly corded flowers and leaves in the design. I’ve stitched tiny seed beads and freshwater pearl drops to the edge. 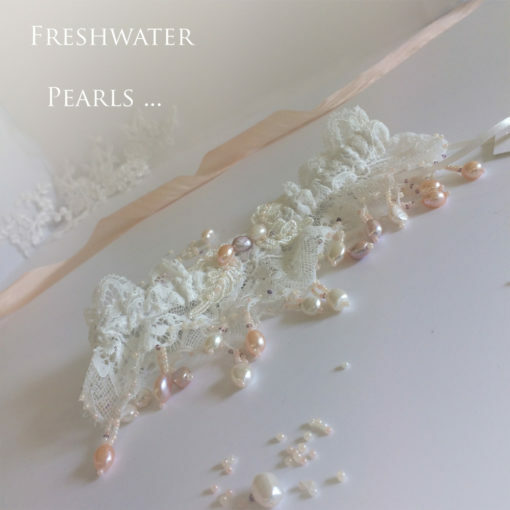 I hope you like how I’ve chosen to use natural pearls in ivory, blush and lilac shades, the seed beads tone with these colours, delicately adding interest. Elegantly finished with just 3 pearls at the centre band. Such delicate colours beautiful with a blush, ivory, pink or lilac wedding theme!